Three French banks will launch national NFC services in partnership with carriers this year, the new president of the association responsible for bringing NFC to market in France has told NFC World — but transforming consumers into active and frequent users will be critical to success. 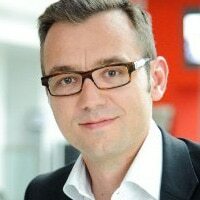 The Association Francaise du Sans Contact Mobile (AFSCM), the French association which has been testing NFC payments, ticketing and other services since 2010, is preparing to offer NFC services on a national basis for the first time this year — and has appointed Hugo Salaun, SFR‘s head of NFC payments, as its new president. “Every year we have been saying that this year is going to be the year for NFC but what we can say now, with a lot of confidence, is that 2014 definitely will be the year of NFC,” Salaun told NFC World. “We are already working with three major retail banks and SNCF [the French national rail operator]; having this major transport company working on NFC with us will give us the guarantee that this product will be distributed to a lot of customers,” he explained. “The technical aspects of the issue is for us over; the business model and distribution model is in place. We know how we will distribute the services and we know the mass market services that we are going to have this year. The last aspect that we have to deal with, however, is the adoption from a customer perspective; that’s still a critical aspect in this ecosystem. We need to transform consumers into active and frequent customers. “That’s the challenge we will all be facing in the next few months: how can we transform these offers into big volumes in terms of active customers and in terms of usage? What we have been seeing in the NFC world for years is that there are a lot of initiatives, a lot of trials and a lot of experiments, but it’s proving very hard to go from these trials into a new, real-life service with millions of customers. “We are not expecting millions of customers this year, but we are expecting to launch a national offer that will touch each mobile customer with an NFC phone — this was around five million at the end of 2013 and will be roughly double by the end of this year. He added: “The usage side of things will take time. I think we need a few more years in order for the technology to become an everyday technology that is used by people to take the train or bus, to pay or to pay using a coupon. But for now, the project is really sliding from the technical and project teams to the marketing teams, and that is a very important step. “We think that NFC is the best option,” Salaun continued. “In this battle and in this race, the key differentiator will be the time and the speed, meaning that we can discuss and we can compare NFC to QR codes and Bluetooth and so on. But the one that wins is going to be the one that will reach millions of customers and millions of acceptance points.